Kacey Deamer for Live Science: Humans know to silence a ringing phone when they're in a quiet library, and to say "thank you" after someone lends a helping hand. 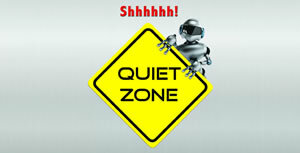 Now, robots will learn this etiquette as well, thanks to a research project that aims to teach robots manners. By teaching robots such social norms, researchers think the machines could more seamlessly interact with humans. The initial stages of the project were recently completed by a team of researchers funded by the Defense Advanced Research Projects Agency (DARPA) — a branch of the U.S. Department of Defense dedicated to the development of new military technologies. The researchers studied how humans recognize and react to social norms, and developed a machine-learning algorithm that allows a robot to learn these "manners" by drawing on human data. According to the researchers, an artificially intelligent (AI) system could eventually "intuit" how to behave in certain situations, just as people do.